The most important use of a cartridge case gage is for setting up 7⁄8"-14 press type full length resizing dies. A common error in reloading is to oversize your brass. Headspace of fired cases can quickly and accurately be measured using this tool and a caliper. 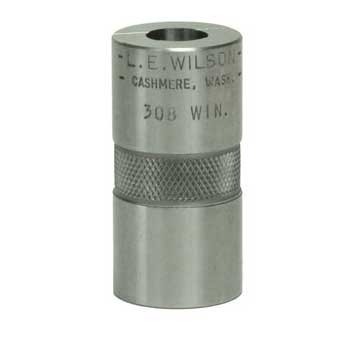 Regular Style: This one piece gage will check overall length to indicate a need for trimming and datum to head length to assure correct headspace to prevent over sizing. Adjustable Style: For belted mags. While the belt provides support for proper headspace, the life of the case will drastically shorten unless resizing is held to a minimum at the shoulder.